The League was established on 17 June 1920, and is officially recognized by the Canadian Conference of Catholic Bishops as a lay association of women and is affiliated with the World Union of Catholic Women’s Organizations, a world-wide federation holding membership in the conference of International Catholic Organizations and having consultative status with the agencies of the United Nations. contribute to the understanding and growth of religious freedom, social justice, peace and harmony. The Catholic Women’s Leagues of St. Mary’s and Our Lady of Lourdes are at the service of the Parish Community and our wider communities of Fort Frances and Couchiching First Nations. We are involved in many programs and ministries: assisting as liturgical ministers in our celebrations, providing opportunities for fellowship with our bazaars, potluck suppers and teas, support healthy eating with our breakfast program at our local schools, as well as spiritual support through special prayer services held throughout the year. In 1996 the Thunder Bay Diocesan Council of the Catholic Women’s League initiated a successful campaign to Raise Values Above Violence. The goal is to reduce the occasions of violence in our communities through the encouragement of one another to practice moral and spiritual values. More information about this annual campaign can be found by clicking here. At St. Mary’s, general meetings are held on the first Wednesday of the months February to May, and September and November. The agenda includes time for prayer, business and fellowship. Masses and potluck suppers are held on the first Wednesday of the months of June, October and December. At Our Lady of Lourdes, general meetings are held on the second Thursday of the month at 7:00 pm in the Parish Hall. You do not need to be a member to attend a gathering. It would be a great opportunity to learn about the activities of our League and how we make a difference in the lives of our neighbours and to meet the women of our Parish. Every Catholic woman who is 18 years of age is welcome to join this sisterhood. Every member of the Catholic Women’s League can answer your questions about joining the League. Memberships are available at the Parish Office or by speaking to a member of the Executive. We humbly pray you, O God our Father, to bless The Catholic Women’s League of Canada. Bless our beloved country, our homes, and families. Send your Holy Spirit upon us to give light to our minds and strength to our wills, that we may know and fulfill your great law of charity. Teach us to share with others at home and abroad, the good things you have given us. 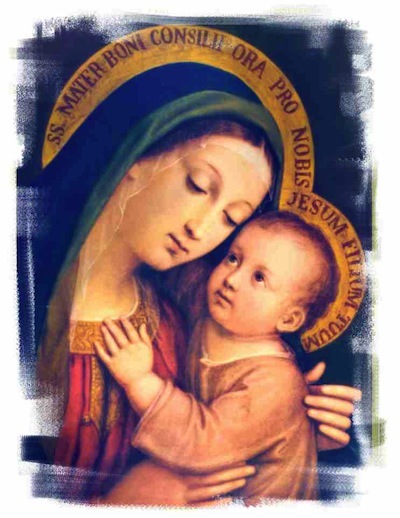 This we ask through our Lord Jesus Christ and intercession of our patroness, Our Lady of Good Counsel. Amen.